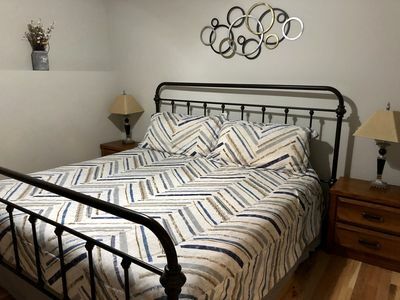 Beds: 1 King Bed(s); 1 Queen Bed(s); 1 Queen Sleeper Sofa (most comfortable for 2 children). 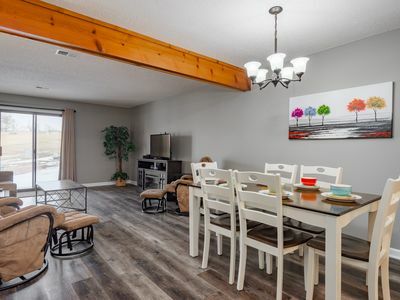 This spacious 2 Bedroom Cabin resort suite measures approximately 1,275 Square Feet. 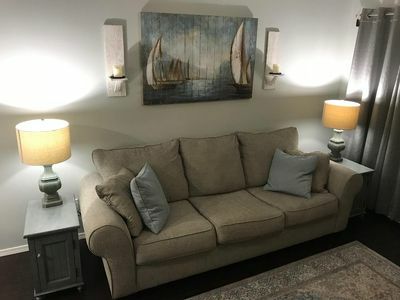 You will enjoy 1 King bed in the master bedroom,1 Queen bed,1 Sofa bed in other rooms. 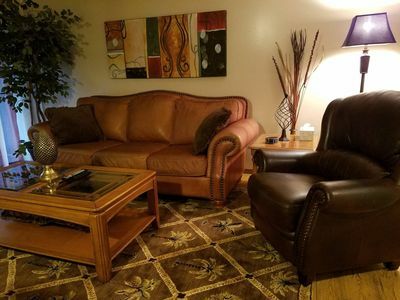 Additional amenities include 1 Full Kitchen and dining room, Bath(s) - 2 Full; Laundry is In Unit; Additional info - Tub w/ jets, Wood Fireplace., Maximum occupancy is 6. Other notes: Please check in at Brushey Creek Clubhouse. A $5 daily incidental fee for use of Big Cedar® Lodge amenities. Major credit card required. What will happen after you purchase? 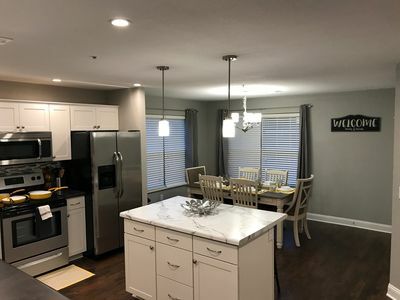 : After purchase you will receive an email confirmation showing your name on the reservation as the guest checking in within 14 days of check in date. Please bring a valid form of Picture ID. We currently do not have other dates available, if you contact us, we can put you on our waiting list for specific unit size or dates at your desired resort. Name Change & multiple check-in(s) at same unit: After you check out you MUST provide the name of the person who is going to check in at our resort. The person checking in MUST BE 21 years old, have a valid form of ID and a credit card in their name. There are NO exceptions. If you would like to change the name of the person checking in after you have provided this information there will be a $99.00 name change fee. 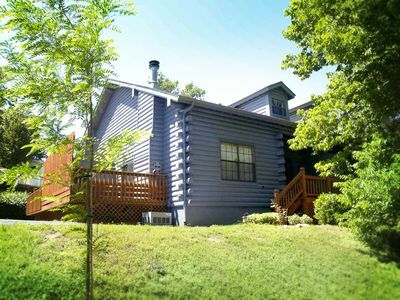 Deep in the heart of the Missouri Ozarks is an area is known for its spectacular bass and trout fishing, beautiful natural scenery and plentiful wildlife. That's where you'll find Wilderness Club™ at Big Cedar®, where vacations are as big as the great outdoors, and where accommodations designed to enhance your vacation experience range from cozy studios to spacious 1-and 2-bedroom lodge suites to 3 bedroom cabins that are perfect for reunions and extended family vacations! 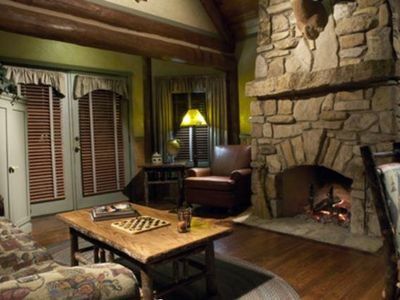 Patterned after the grand wilderness lodge architecture of the Adirondacks, Wilderness Club™ at Big Cedar® offers the ultimate family-friendly retreat. 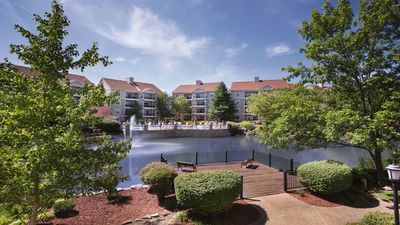 This 40-acre resort is situated on magnificent Table Rock Lake, just 10 miles south of the entertainment capital of Branson, Missouri. 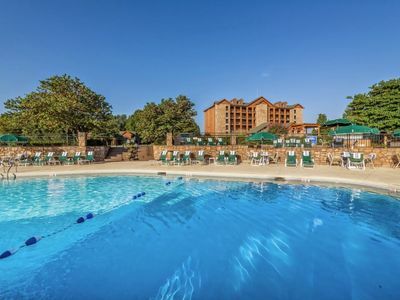 With a plethora of activities for all ages and access to all the amenities of neighboring Big Cedar® Lodge, your days will be full without ever leaving the resort. 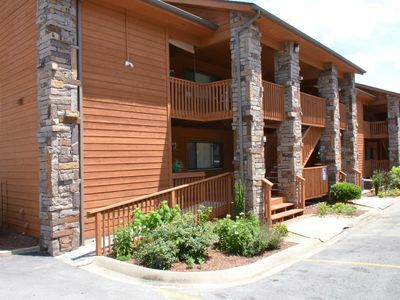 The regional charm of the Ozarks is reflected in the rustic elegance of the resort's accommodations, all with a view of the lake or woods. 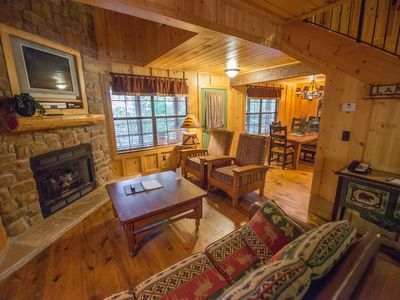 Each spacious cabin has vaulted ceilings, a fireplace, whirlpool bath, homespun area rugs and a 350-square-foot deck with gas grill. 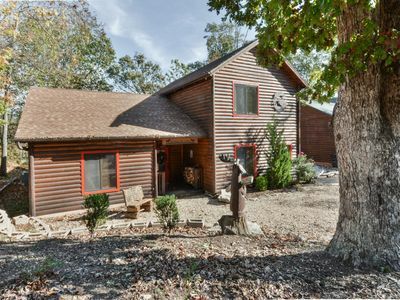 Lodge units feature wood-planked floors, spa-sized tubs (except in studios), patios, hickory sapling furniture and mountings of trophy bucks and game birds. 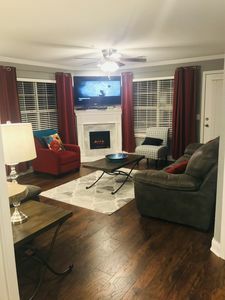 Select units feature a cozy fireplace with a split log mantle. 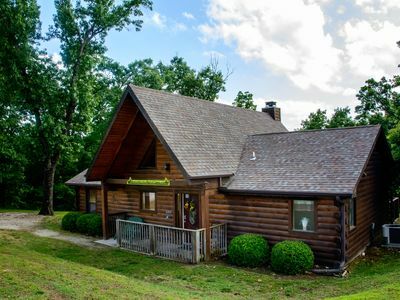 Pick a wooded trail and go hiking and horseback riding in nearby Dogwood Canyon. 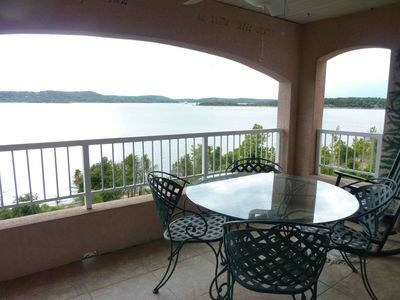 Enjoy breathtaking views from Top of the Rock, home to Lost Canyon Cave and Nature trail, a world-class golf course and top-notch dining views all overlooking =Table Rock Lake. 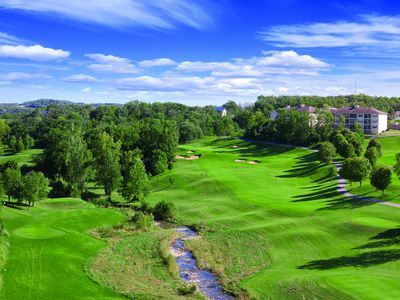 Note: Resort amenities listed refer to Wilderness Club, while area amenities refer to Big Cedar® Lodge. 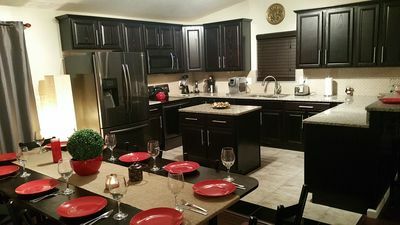 Also, studio units at Wilderness Club lodge don't include an ice maker, oven, washer/dryer, fireplace or whirlpool bath. 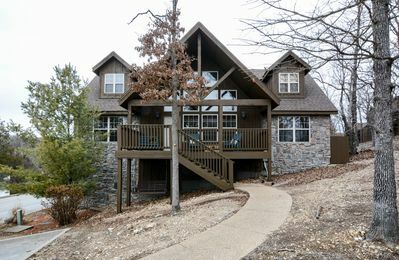 Canyon Rock Lodge 5BR 5BA in Beautiful Branson Canyon! 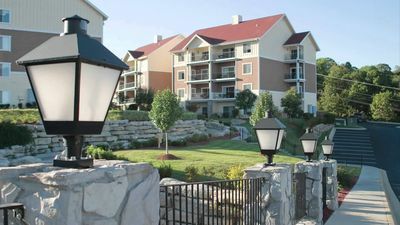 Gorgeous Condo w/ Resort Pool Near Branson Strip! Ozark does not get any better than this! NEW! 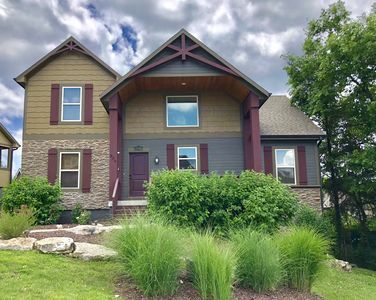 4BR/4BA Lake House at StoneBridge Resort! 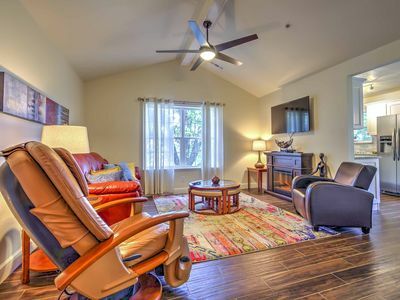 *NEWLY REMODELED* Royale 10th Tee (Unit 3): 2 Bed/2 Bath. Golf Resort View!